Alex interviews with warmth and humor a range of fascinating thinkers, artists and innovators who all share the element of being multiracial themselves or part of a multiracial family. A much-needed and really interesting set of conversations. Thank you Alex for providing a forum for deep discussion about mixed-race issues. Your hought- provoking questions and knowledge bring depth to the interviews. The World Needs to Listen! Alex does a great job week after week interviewing guests and shining light on this very natural topic. Love, love, love this podcast! As a guest on Alex's show I was impressed with the types of questions he asked me regarding my expertise in the natural hair community. 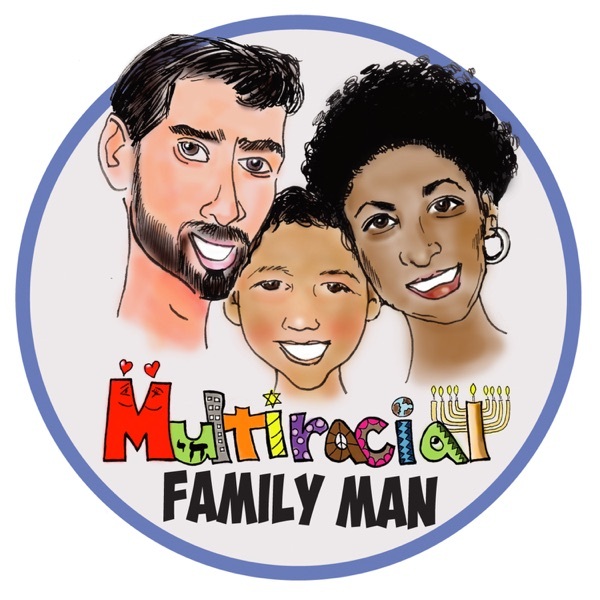 The Multiracial Family Man podcast is a must for those seeking like-minded content that goes deeper than just surface issues. The show offers great insight into different cultures. Alex is a great host. Alex is a great host who asks intelligent and thoughtful questions. Glad that he's having these conversations! Honored to have been interviewed by Alex! I had listened to a few of Alex's podcasts before my co-author and I were interviewed, but it's altogether different from being interviewed. I am an extremely outgoing person but interviews are not the same at all. Alex did a great job of making me feel comfortable. He uses humor (yeah, he's a standup comic) to achieve this. Apart from that, his knowledge of history and ethnic origins made a big difference. I didn't feel the need to school him or correct him, but rather think seriously about his questions and tell my story. It was great to be interviewed with Bryony, too. Great job! I found myself listening to episode after episode of this podcast, Alex is a great interviewer and the guests he invites onto his show have such fascinating insight and stories! Alex does a great job with the podcast. He allows the interviewees to speak and fully answer and does not try to dictate what direction the conversation should take. I also appreciate that there are such a wide variety of ideas and perspectives covered within the "multiracial" sphere. Alex provides a great space to talk about issues directly related to the unique qualities and issues for people of mixed race. He is a wonderful host filled with thought provoking questions and interesting topics. Thank you, Alex! I love hearing about interracial couples, families and individuals. As Shannon's proud mother I have such deep appreciation for her spirit and strength and so happy that she is finally able to live with grace and love. Her dad and I are thrilled by this broadcast and thank Alex for letting her voice be heard. It's both comforting and important to have and share conversations about multiracial experiences. Love that this podcast is entertaining and open to anyone who wants to add to the discussion. Alex brings his signature comedic wit and charm to each episode. Tune in for relevant, thought-provoking, and at times humorous interviews; a refreshing approach to the norm! Alex is a knowledgeable host who asks the best kinds of thought-provoking questions.